Denver Bronco cornerback Aqib Talib used the Surface Pro's handwriting tools to help celebrate his team's victory, a nice comeback for the Surfacegate-plagued device. The Surface Pro ended the NFL season on a high note—a handwritten one, at that. As Super Bowl 50 wound down, with the Broncos the clear winners, Denver Broncos cornerback Aqib Talib was seen running around the field with a Surface Pro in hand. Exactly why was unclear until he held it aloft to TV cameras with the words “WORLD! CHAMPS!” scribbled on the Surface’s display. As all Surface Pro fans know, you can write on the device's display with the included stylus. The Surface has had a tough second season with the NFL. Football players, like most humans, are prone to blame inanimate objects for their own failings. 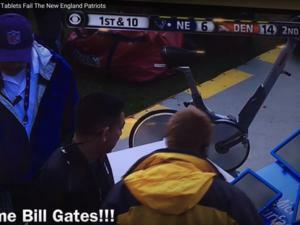 The Surface Pro became the scapegoat for many players’ frustrations, not to mention the “Surfacegate” scandal of the NFL playoff game between the Denver Broncos and the New England Patriots. 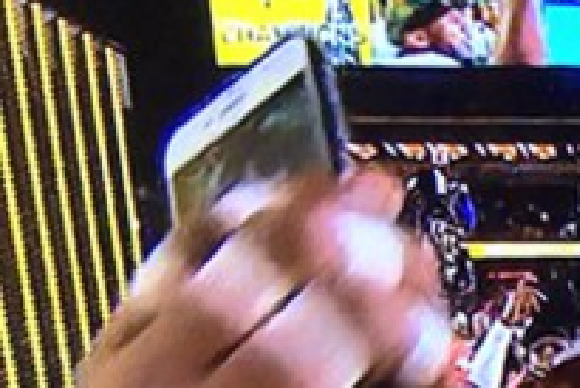 But even this high point had its counterpoint: Seen at far left, an unidentified player captures the scene...with what appears to be an iPhone. 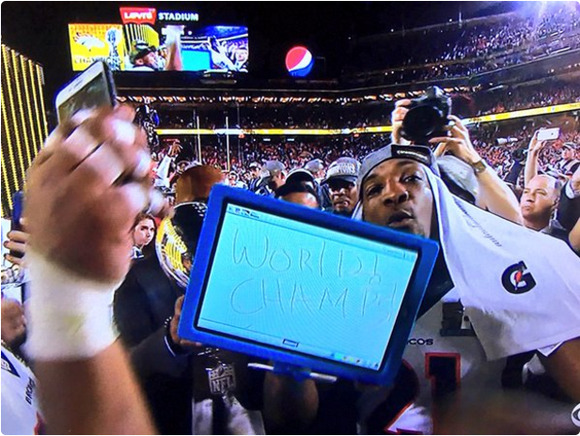 The Surface Pro's triumphant moment at Super Bowl 50, when Denver Bronco Aqib Talib writes "World Champs!" on it and holds it aloft, is captured by an unidentified player's iPhone.